You’d think that as markets became more mature and people already understood what your solution does, it would be easier to promote and sell. Not exactly. Sure, you don’t need to do as much missionary work, educating prospective customers on the basics. They’ve read enough or seen enough from others in their industry to know what your kind of solution can do. Established solutions like ERP or CRM, for example, are broadly understood by now. But while you’re relieved of the basic educational work, marketers face a different challenge. As markets mature, the buyers change. For one thing, these mainstream buyers often have less time and less inclination to investigate your solution. Mostly they’re interested in how you can solve an urgent problem. They don’t much care about how the product works. These folks have even less time to sort through your website, email, or other marketing material to figure out what you can do for them. If your early-adopter customers gave you 90 seconds to capture their attention, figure the mainstream customers will give you about half that time. You’ve got about 45 seconds to hit them right between the eyes. Marketers should also know that these mainstream buyers have little interest in being trail-blazers. They’re happy to let the earlier adopters suffer through the learning experience of refining new, unproven products. By waiting, these mainstreamers expect that by the time they adopt it, your solution is ready for prime time. To appeal to this less adventurous buyer, marketers should be touting reliability and proven results, not leading edge technology. The mainstream adopters mostly want to know that others have already had success with the solution. Solid references and case studies carry more weight than technical spec sheets. To know when your market is shifting, you need to pay attention. You’ll hear different kinds of questions from mainstream vs. leading edge prospects. You’ll detect an even shorter attention span or at least less tolerance/interest in technical details. You’ll see more people finding you through referrals and a greater reliance on customer references. If you’re not paying attention to changes in the market and a shift in the kind of prospects you’re addressing, you’re liable to find that your growth stalls. Despite an expanding overall market, you’ll see your cost of customer acquisition going up, and the return on you sales and marketing investment going down. 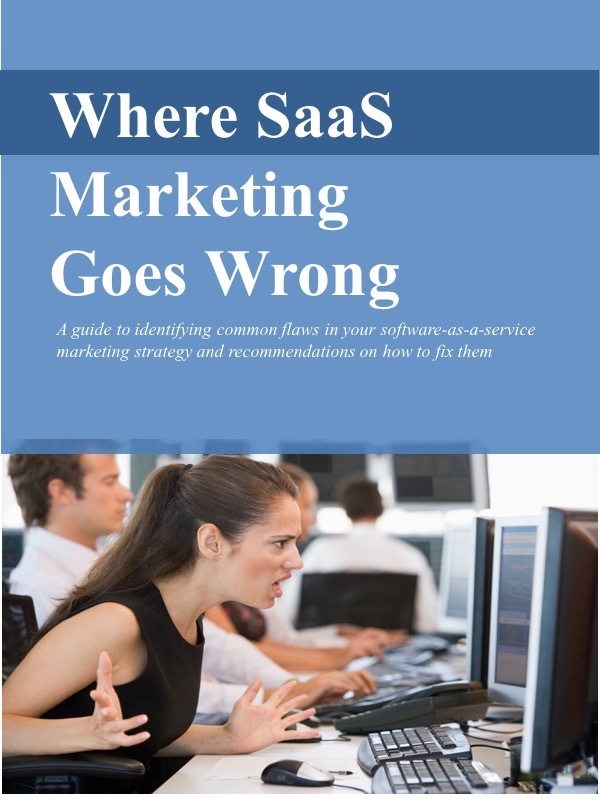 Neither of those are a good thing for a software-as-a-service (SaaS) company.